By the grace of Lord Sreepada Sreevallabha; come, experience & learn Siddha Sanmarga Maha-Shodshi Sri-Vidya Sadhana at Raipur from the realized master Gurunath Atmanandji and achieve complete success in a righteous way. Sanatana Dharma has always believed that the world began from the god in the form of zero. Param Sunya was always synonymous with Nirakar Prabraman. In fact, all of the greatest of the great Siddhas always contemplated only on Nirakar Prabraman as SriVidya Sadhana. The science could not explain how this existence came into existence. Yet it has proved that the world is continuously expanding. If it is expanding continuously, then it should have been started from a point or zero. The science has also believed this with Big Bang Theory. The science has always been at loss to explain how did something came out of nowhere. Our Sanatana Dharma has always explained this through Yoga or as the Bhrama Vidya called SriVidya..
Einstein believed that there is always another antiparticle to some particle. He expounded that when antiparticle and particle mix together, then there will be nothing and when one will consume the other, the whole thing is dissolutes into zero or nothing. This thought came out of the sacred texts of Hinduism where it is said through ages that “everything is created from him, by him, and will eventually merge back into to him. It is he alone, who takes up the three roles of construction, destruction, and dissolution of this universe. How this exactly happens is well known only to the true sadhaks of SriVidya. Something out of nothing can only come with the power of yoga. Our entire Vadantic Darshana systems have expounded about this in detail. The entire Sankhya Darshana was dedicated in explaining this. The literal meaning of yoga is to mix something together or addition. With the power of yoga, Shiva created the whole universe out of nothing and this can be explained by the extract of Bhagwan Kapil Maharshi expounded Sankhya Darshana. Yoga is not the exercise. Some say the literal meaning of yoga means samyoga (addition) of the bhrama padarda and some say yoga in a yogi’s point of view is to know the path that can “create” anything out of his own “inner empty space”. The Rishis of the older times have developed the science by which anyone can increase the power of yoga within oneself and thereby creating and destroying whatever they wanted. Actually, yoga is a state of being. That is the reason why the guru of all gurus “lord Krishna” mentioned “yogastha kuru karmani.” The true meaning of yoga can actually be understood by this. He meant or if literal translation is to be taken “do actions in the state of yoga”. Now what is this “state of yoga”? The samyoga is the addition of the particles and viyoga is the division of particles, but the state of yoga is a state where is total or absolute stillness, i.e. a state where there is no addition or division of the particle consciousness within us. Trayaanaam aikya-samshutir asdes’s iti kiirtitah "
MEANING: In our relative thought we distinguish between Atman, Paramatman, and Jiva. The Truth is that these three are one and a realization of it is called Adesha. So a state of yoga is pure and absolute stillness and this is what the true wisdom that every master of srividya attains. MAHA-SHODSHI SRIVIDYA (TRIPURA RAHSYA):- is a program where these ancient secrets of the great wisdom called Sri Vidya or absolute stillness are shared for the first time to sadhaks. The Dimensions above the Bindu. The Sadhana of Seven Shambhava Dham, we think that our seven chakras resides in our Pran-Maya Kosha, Siddha Sanmarga wants you to Experience the Real Seven Chakra, which Exists in these Seven Shambhava, The seven chakra of Prana-Maya Kosha are the Mirror Refelection of these Seven Chakrs of our Soul Star. During the dhyan sadhana these higher dimensional real seven chakras will be awakened and experienced. These seven chakras have different dimensions , Shaktis & beej mantras. All the Dimensions beyond the Bindu Chakra, because Lalita-Tripur Sundri resides in Sri-Chakra, above the Sri-Chakra & Lalita Tripursundri is beyond the Sri-Chakra also. Siddha Guru Atmananda says Sri-Vidya is a sadhana of deletion (Reversal process "Malfunction Mantra"). Wherever we are, we just have to delete everything. It means leave everything (by mind) and when everything is left, the "Param-Shunya", remains. Param Shunya means "The stillness" which is beyond experience by our physical senses. Shunya does not have its own existence, but it exists as a background consciousness to everything and It is beyond existence. Sri-Vidya is a Sadhana of "Shunya- The Nothingness". (1) The Shunya Sadhana (destruction of karmas). (2) The Infinite Process of Creation "Yoga" (Sadhana of Creation). (3) The Sadhana of Awareness "Sathiti Chakra". Kundalini Awakening and DNA Activation through Prana Path, Shakti Path, and Shiva Path out of the WISDOM of “Garud Purana (Meditation taught by Bhagwan Vishnu to his disciple Garuda)”, Kathopnishad (Meditation taught by Yama-Raj to Nachiketa), Mundak-Upnishda, Nirvaan Bhariav Tantra (“how to be yourself”) & Tripur Bharavi (“how to become one with Adhya Shakti Tripursundri”). (On this day you will be taught how to leave your body. You are a being of light (infinite consciousness) “you are never Born & you never Die” You just create a body for yourself to Experience this world & Humanity, but you never know how to leave this body due to Maya (illusion) and in this ignorance you again create a new body for you as per your consciousness at the time of leaving this body. It can also be called “Realization of Rebirth” – a very Secret & Sacred natural Process, which Siddha Sanmarga wants to teach you (True Himalayan Wisdom). Awakening of Datta Jyoti (Datta Jyoti initiation) :- Bhagwan Dattatreya is the male form of Lalita-Tripursundri (Creator of the universe), and bhagwan Dhatta is the guru of all siddhas & Avdhootas. all the divine energies known to any one in this universe,are awakened from the consciousness of bhagwan Dattatreya. Datta jyothi is the divine grace Light of Lord Dattatreya (consciousness of dattatreya) and mother of all healing energies. This is a combination of Electric golden, electric pink, and electric violet etc. This is the highest healing light known to man in any yuga.it can heal any misery, sorrow and pain, can make your life wonderful. 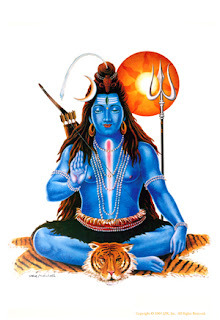 Shiva Jyoti Sadhana:- Shiva Jyothi is the divine healing fire of lord Shiva,Lord Maha-Mritunjaya, Lord Maha-Rudra, Lord Avdhoota, Lord Maha-Kaal-Bhairva and Lord Natraja (Sarv-vidravani Shakti). This jyoti is the awakened Complete & Pure consciousness of Shiva, which when awakened in a sadhak will experience continuous flow of electric golden and electric violet healing fire from his both eyes, third eye and every & each cell of the body.it can heal anything and burn any karma,you believe it or not but it is the only truth. Awakening of Aruth Jyoti (Ascension Jyoti) :-Aruth Jyothi is the divine Grace Light of Paratapar-Linga as described the great guru Swami Ramalinga. This is an alchemical white light. This light, when initiated, sadhak will experience continuous flow of divine light from his heart. This is the light that our shasthras have described as “unconditional love”. The power of this light or the healing ability of this light is immeasurable. It is a myth that unconditional love is pink in color. Any person worshiping this grace Light will definitely get Ascended to the infinite Dimension. Awakening of Jawala Jyoti:- This jyoti is the consciousness of MAA Jawala-Malini and MAA Dhooma-Vati. It is a highest healing fire. When initiated in a Sadhak, will experience a continuous Fire coming out from his every and each cell, both eyes & Third eye. Awakening of 4th Dimensional Ray (4th Dimensional Light) :- it is a Healing Light of 4th Dimension (combination of Platinum Gold, Platinum White & Platinum Pink colored Light) It can manifest any thing in your life, Called Manifestation Jyoti. Awakening of Sri-Chakra within you. Dhayan Sadhana of Bala-Tripursundri with 4th Dimensional Mantra. Sri-Vidya Sadhana & Deeksha with Fourth Dimensional Sri-Vidya Mantra. Awakening of Purva-Mayatkam “Sristi Chakra” (Vayapini Shakti). it is the sadhana of Creation-Maha Saraswati & Brahma”. Awakening of Dakshin-Mayatkam “Sathiti Chakra” (Samana Shakti) “it is the sadhana of Positioning- Maha Lakshmi & Vishnu”. Awakening of Paschim-Mayatkam “Sanghar Chakra” (Unmana Shakti) “it is the sadhana for Distruction of Karmas - Maha Kali & Maha Kaal Bhariva”. Meditation of Sixteen nithys with beeja-mantra. Meditation of Bala-Tripursundri with 4th Dimensional Mantra. Meditation of Tripur-Sundri with Panch-Dashi Mantra. Meditation of Tripur-Sundri with 4th Dimensional Mantra. Dhyan Sadhana of Sarva-Anand Bindu Chakra, there are more higher chakra exists in the our universe & other universe, cannot be described here, but during the “Dyan-Sadhana” all will be awakened by Guru Ji within you. Awakening of Bhuvneshwari Shakti (The Mother Of Creation). Adhya-Jyoti Meditation (In this Sadhana you will be blessed with the grace of Tripur-Sundri and learn the Art, becoming one with Adhya Shakti). Awakening of Seven Shambhava Shakti within you. (Brahma Shambhava, Vishnu Shambhava, Rudra Shambhava, Ishwar Shambhava, Sada-Shiva Shambhava, Adhi-Natha Shambhava & Shree Shambhava) it is a process of awakening of all your chakras, Nadis & Higher Bodies. There are two more higher Shambhava called “Anant Shambhava” & “Nirakar Shambhava” . Awakening of Sri-Chakra in your every & each cell (Kaya-Kalpa Mediation). Advance Khadagmala Sadhana (creation of universe & materialization) & Rakthdantika Sadhana (destruction of Karmas). A SriVidya Sadhak will be blessed with all the abundance in life. He not only will be blessed spiritually but would also be blessed in every aspect of life. SriVidya Sadhana is the Bhramha Vidya Sadhana and so, it is endless. A sadhak has to continue to practice SriVidya Sadhana till he is one with the SriChakra himself, after which sadhana happens naturally. If we look at the whole creation, it exists in a multi-plane level with multiple dimensions. We know that the mother earth is currently in the 3rd dimension and soon by the end of 2012 will shift into the 4th dimension. Scientifically, this entire world is a wave, which has got compressed in such a format that it has become a solid physical vibrational frequency. Now, if it loosens up (expands), it goes into the 4th, 5th, and further dimensions. We currently use 3rd dimensional vibrational frequencies to heal a person of 3rd dimension. Imagine the results of healing when we use 4th dimension light to heal the 3rd dimension person. It will be faster and powerful!!!! Now, when we combine this 4th dimension light and mantras with SriVidya, the sadhana would become the most powerful sadhana any person can get as a diksha. With the blessing of the Datta Digambara Sreepada Sreevallabha, you will be able to experience the highest and you can heal yourself and others from a very higher level of consciousness. Sometimes just a touch would be enough to do the healing. These are closely guarded secrets of the Great Himalayan Siddhas, which are for the very first time revealed by their own grace. All rights reserved by Siddha Sanmarga Satya Sangam. Theme images by macroworld. Powered by Blogger.